The franchise was founded in 1945 by businessman Arthur B. McBride and coach Paul Brown as a charter member of the All-America Football Conference (AAFC). The Browns dominated the AAFC, compiling a 47–4–3 record in the league's four seasons and winning its championship in each. When the AAFC folded after the 1949 season, the Browns joined the National Football League along with the San Francisco 49ers and the original Baltimore Colts. The Browns won a championship in their inaugural NFL season, as well as in the 1954, 1955, and 1964 seasons, and in a feat unequaled in any of the North American major professional sports, played in their league championship game in each of the Browns' first ten years of existence. From 1965 to 1995, they made the playoffs 14 times, but did not win another championship or appear in the Super Bowl during that period. Arthur B. "Mickey" McBride was the founder of the Cleveland Browns professional American football team in the All-America Football Conference and National Football League. During McBride's tenure as owner of the Browns from 1944 to 1953, the team won five league championships and reached the championship game two more times. It was the most successful period for a Cleveland sports team in the city's modern history. McBride was also a real estate developer and investor active in Cleveland, Chicago and Florida. He owned taxi-cab companies in Cleveland and a horse racing news wire that sold information to bookmakers. He had ties to organized crime figures arising from the wire service, but was never arrested or convicted of a crime. The All-America Football Conference (AAFC) was a professional American football league that challenged the established National Football League (NFL) from 1946 to 1949. One of the NFL's most formidable challengers, the AAFC attracted many of the nation's best players, and introduced many lasting innovations to the game. However, the AAFC was ultimately unable to sustain itself in competition with the NFL. After its folding, three of its teams were admitted to the NFL: the San Francisco 49ers, the Cleveland Browns and the original Baltimore Colts. Arthur Bertram "Art" Modell was an American businessman, entrepreneur and National Football League (NFL) team owner. He owned the Cleveland Browns franchise for 35 years and established the Baltimore Ravens franchise, which he owned for nine years. Since resuming operations in 1999, the Browns have struggled to find success. They have had only two winning seasons (in 2002 and 2007), one playoff appearance (2002), and no playoff wins. The franchise has also been noted for a lack of stability with quarterbacks, having started 30 players in the position since 1999. Through the end of the 2018 season, the Browns' win–loss record since returning to the NFL in 1999 is 95–224–1. In 2017, the Browns became only the second team in league history to finish a season 0–16, joining the 2008 Detroit Lions. Through the 2018 season, the Browns hold the longest active playoff drought in the NFL, at 16 seasons. James Nathaniel Brown is a former professional American football player and actor. He was a running back for the Cleveland Browns of the National Football League (NFL) from 1957 through 1965. Considered to be one of the greatest football players of all time, Brown was a Pro Bowl invitee every season he was in the league, was recognized as the AP NFL Most Valuable Player three times, and won an NFL championship with the Browns in 1964. He led the league in rushing yards in eight out of his nine seasons, and by the time he retired, he had shattered most major rushing records. In 2002, he was named by The Sporting News as the greatest professional football player ever. The Browns are the only National Football League team without a helmet logo. The logoless helmet serves as the Browns' official logo. The organization has used several promotional logos throughout the years; players' numbers were painted on the helmets from the 1957 to 1960; and an unused "CB" logo  was created in 1965,  But for much of their history, the Browns' helmets have been an unadorned burnt orange color with a top stripe of dark brown (officially called "seal brown") divided by a white stripe. Other than the helmet, the uniform was completely redesigned for the 1984 season. New striping patterns appeared on the white jerseys, brown jerseys and pants. Solid brown socks were worn with brown jerseys and solid orange socks were worn with white jerseys. Brown numerals on the white jerseys were outlined in orange. White numerals on the brown jerseys were double outlined in brown and orange. (Orange numerals double outlined in brown and white appeared briefly on the brown jerseys in one pre-season game.  ) However, this particular uniform set was not popular with the fans, and in 1985 the uniform was returned to a look similar to the original design. It remained that way until 1995. The Browns wore brown pants for the first time in team history on August 18, 2008, preseason game against the New York Giants. The pants contain no stripes or markings. The team had the brown pants created as an option for their away uniform when they integrated the gray facemask in 2006. They were not worn again until the Browns "family" scrimmage on August 9, 2009 with white-striped socks. The Browns have continued to wear the brown pants throughout the 2009 season. Browns quarterback Brady Quinn supported the team's move to wearing the brown pants full-time, claiming that the striped pattern on the white pants "prohibit[ed] mobility". However, the fans generally did not like the brown pants, and after being used for only one season, the team returned to their white shirt-on-white pants in 2010. Coach Eric Mangini told The Plain Dealer the Browns won't use the brown pants anymore. "It wasn't very well-received," Mangini said. "I hope we can get to the point where we can wear fruit on our heads and people wouldn't notice." At the time, the brown pants weren't officially dropped by the team, but simply not used. Often called the "Turnpike Rivalry",  the Browns' main rival has long been the Pittsburgh Steelers. Though the Browns dominated this rivalry early in the series (winning the first eight matchups), the Steelers currently have the all-time edge 74–58, making it the oldest rivalry in the AFC. Former Browns owner Art Modell scheduled home games against the Steelers on Saturday night from 1964 to 1970 to help fuel the rivalry. The rivalry has been fueled by the proximity of the two teams, number of championships both teams have won, players and personnel having played and/or coached for both sides, and personal bitterness. Though the rivalry has cooled in Pittsburgh due to the Modell move (as well as the Browns having a 6–33 record against the Steelers since returning to the league in 1999, including one playoff loss), the Steelers are still the top rival for Cleveland. Created as a result of the Cleveland Browns relocation controversy, the rivalry between the Browns and Baltimore Ravens was more directed at Art Modell than the team itself, and is simply considered a divisional game in Baltimore. Unlike the other two rivalries, this one is more lopsided: the Ravens lead 29–9. 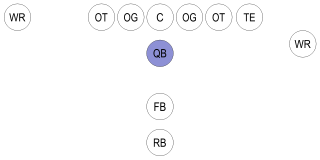 Additionally, this matchup is more bitter for Cleveland than the others due to the fact that the draft picks for 1995 to 1998 resulted in the rosters that won the Super Bowl for the Ravens in 2000. Had the Browns stayed in Cleveland, these teams (drafted by general manager Ozzie Newsome) might have given the Browns the title after a 35-year drought. This bitterness was compounded when the Ravens won their second Super Bowl in 2012. The Cleveland Browns have the fourth largest number of players enshrined in the Pro Football Hall of Fame with a total of 16 enshrined players elected based on their performance with the Browns, and eight more players or coaches elected who spent at least one year with the Browns franchise. No Browns players were inducted in the inaugural induction class of 1963. Otto Graham was the first Browns player to be enshrined as a member of the class of 1965, and the most recent Browns player to be included in the Pro Football Hall of Fame is Gene Hickerson, who was a member of the class of 2007. All of the Browns' Pro Football Hall of Fame inductees thus far have been from the pre-1996 incarnation; no members of the Hall of Fame played for the Browns after 1999. Cleveland Brown is the name of a character originally featured on the Fox TV show Family Guy , and the central character of the spin-off series The Cleveland Show . On the TV show How I Met Your Mother , in the seventh-season premiere, the main characters go to a Cleveland Browns-themed wedding. The 2008 film The Express explains how Ernie Davis is traded to the Browns by the Washington Redskins. 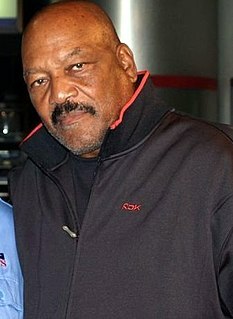 Early in the film, Jim Brown is taking photos in his Browns uniform after being drafted by them. Later in the film, it shows Davis struggling with leukemia after being drafted and the Browns hold a special pre-game ceremony for him. In the 2010 film Hot Tub Time Machine , the Browns win the 1986 AFC Championship Game (the game famous for former Denver Broncos quarterback John Elway's 98-yard drive). It is explained that the reason why the Browns win this game is due to the butterfly effect. In the 2014 film Draft Day , fictional Browns general manager Sonny Weaver, Jr. (Kevin Costner) attempts to land the number one pick in the NFL draft. The Georgia Bulldogs football program represents the University of Georgia in the sport of American football. The Bulldogs compete in the Football Bowl Subdivision (FBS) of the National Collegiate Athletic Association (NCAA) and the Eastern Division of the Southeastern Conference (SEC). They play their home games at historic Sanford Stadium on the university's Athens, Georgia, campus. Georgia's inaugural season was in 1892. UGA claims two consensus national championships ; the AP and Coaches Polls have each voted the Bulldogs the national champion once (1980); Georgia has also been named the National Champion by at least one polling authority in three other seasons. The Bulldogs have won 15 conference championships, including 13 SEC championships, and have appeared in 55 bowl games, tied for second-most all-time. The program has also produced two Heisman Trophy winners, four number-one National Football League (NFL) draft picks, and many winners of other national awards. The team is known for its storied history, unique traditions, and rabid fan base, known as the "Bulldog Nation". Georgia has won over 800 games in their history, placing them 11th all-time in wins. The New York Jets redesigned their uniforms and primary logo for the 2019 season. The new team colors are a medium green that the franchise calls "Gotham Green," white, and black. The primary logo is a green football-shaped oval outlined in white, oriented horizontally, with the word "JETS" in thick, sans-serif italics positioned just below the horizontal axis with "NEW YORK" above it in smaller letters, and a miniature football graphic at bottom center partially covering the lower portion of the "E" and "T". The Pittsburgh Steelers of the National Football League were founded in 1933. Over the course of the team's history, the team has had several logos while wearing virtually the same uniforms over the years, with subtle changes made to give the uniforms an updated look. 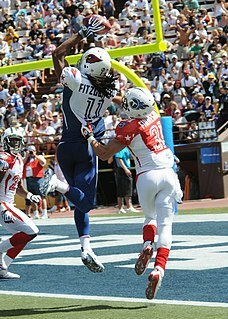 The team colors, uniforms, and logo are often ranked as being among the best in the NFL. ↑ "Cleveland Browns Team Facts". Pro Football Hall of Fame . Retrieved October 2, 2017. ↑ "Cleveland Browns Team Capsule" (PDF). 2018 Official National Football League Record and Fact Book. NFL Enterprises, LLC. August 9, 2018. Retrieved November 21, 2018. 1 2 3 "New Browns Logo". ClevelandBrowns.com. NFL Enterprises, LLC. February 23, 2015. Archived from the original on February 24, 2015. Retrieved June 11, 2016. ↑ Shook, Nick (March 26, 2019). "Nothing Fancy: Browns set to unveil new uniforms in 2020". ClevelandBrowns.com. NFL Enterprises, LLC. Retrieved March 27, 2019. This new, exciting era of the Browns is receiving a makeover. Browns owners Dee and Jimmy Haslam confirmed Tuesday the team will be donning new uniforms for the 2020 season. The uniforms will embody a "nothing fancy" mindset, embracing the team's rich tradition and its unique distinction as the only NFL franchise with orange and brown as its two primary colors. ↑ Rosenthal, Gregg (August 2, 2012). "Cleveland Browns' sale to Jimmy Haslam complete". NFL.com. NFL Enterprises, LLC. Retrieved August 4, 2012. ↑ Florjancic, Matt (October 16, 2012). "Haslam approved as new Browns owner". ClevelandBrowns.com. NFL Enterprises, LLC. Archived from the original on October 18, 2012. Retrieved November 27, 2018. ↑ Cabot, Mary Kay (August 2, 2012). "Cleveland Browns sale to Jimmy Haslam group is complete". The Plain Dealer . Cleveland, Ohio. Retrieved August 2, 2012. ↑ Florjancic, Matt (January 15, 2013). 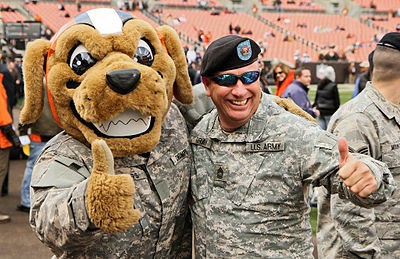 "Browns Stadium to become 'FirstEnergy Stadium'". ClevelandBrowns.com. NFL Enterprises, LLC. Archived from the original on January 17, 2013. Retrieved November 27, 2018. ↑ Naymik, Mark (March 8, 2013). "Browns owner Jimmy Haslam has spell over football fans and politicians alike". The Plain Dealer . Retrieved April 1, 2016. 1 2 Gribble, Andrew (February 24, 2015). "Browns' logos sneak preview of what's to come". ClevelandBrowns.com. NFL Enterprises, LLC. Archived from the original on February 25, 2015. Retrieved November 27, 2018. ↑ Gribble, Andrew (April 2, 2015). "Putting to rest 5 historic myths about the Browns' uniforms". ClevelandBrowns.com. NFL Enterprises, LLC. Archived from the original on April 4, 2015. Retrieved November 27, 2018. ↑ "Cleveland Browns-Team history". pigskinacademy.com. Retrieved September 29, 2015. ↑ Cabot, Mary Kay (September 6, 2012). "Art Modell's decision to move Cleveland Browns haunted him for rest of life". The Plain Dealer . Retrieved August 25, 2014. ↑ Smith, Michael David (October 11, 2017). "Hogan will be Browns' 28th starting quarterback since 1999". NBC Sports. Retrieved October 11, 2017. ↑ "Cleveland Browns Team Encyclopedia | Pro-Football-Reference.com". pro-football-reference.com. Retrieved September 29, 2015. ↑ "Image of Cleveland Browns "CB" helmet" . Retrieved June 2, 2013. ↑ Grzegorek, Vince (February 9, 2010). "The Hunt for the Great Orange, Brown, and White Whale: Unraveling the Mystery of the 1965 "CB" Cleveland Browns Helmet Logo | '64 and Counting: Scene's Sports Blog". Cleveland Scene. Retrieved June 2, 2013. ↑ Patra, Kevin (February 24, 2015). "Cleveland Browns unveil new logos". National Football League . Retrieved August 29, 2015. ↑ "Browns' Home Jerseys Will Be Modified". Youngstown Vindicator. August 8, 1984. Retrieved December 30, 2010. ↑ King, Steve. "Brown out". ClevelandBrowns.com. NFL Enterprises, LLC. Archived from the original on August 22, 2008. Retrieved December 13, 2008. ↑ "Scrimmage shows Cleveland Browns' offense still needs work". Cleveland.com. Retrieved August 9, 2009. ↑ "Cleveland Browns might wear brown pants for all road games during 2009 NFL season". Cleveland.com. Archived from the original on June 23, 2012. Retrieved July 26, 2009. ↑ "Cleveland Browns' scrimmage answers some Brady Quinn concerns; WR Leggett impresses". The Plain Dealer . Retrieved August 10, 2009. ↑ "Eric Mangini: Cleveland Browns will abandon the brown-pants look". USA Today . August 17, 2010. Retrieved August 17, 2010. ↑ Florjancic, Matt (June 16, 2011). "Ask Matt". ClevelandBrowns.com. NFL Enterprises, LLC. Archived from the original on June 19, 2011. Retrieved September 3, 2012. ↑ "Browns unveil all-brown uniforms vs. Bills: What do you think? | cleveland.com". The Plain Dealer . Retrieved September 29, 2015. ↑ Shook, Nick (April 14, 2015). "Cleveland Browns unveil new uniforms". NFL.com. NFL Enterprises, LLC. Retrieved April 15, 2015. ↑ "The 6 significant changes to the Browns uniforms". ClevelandBrowns.com. NFL Enterprises, LLC. April 15, 2015. Archived from the original on April 16, 2015. Retrieved November 27, 2018. ↑ "Steelers To Take On Browns For First Place In The AFC North". Kdka.com. October 14, 2010. Retrieved June 2, 2013. ↑ "Baltimore Ravens Team Encyclopedia". Pro-Football-Reference.com. Retrieved December 30, 2010. ↑ Schudel, Jeff (November 22, 2009). "Great Lakes Classic has lacked luster since its beginning". The Morning Journal . Retrieved March 21, 2009. ↑ "Browns Win Ugly, Beat Buffalo 6-3". CBS News. October 11, 2009. ↑ Warskinskey, Tim (November 30, 2014). "Cleveland Browns vs. Buffalo Bills series has seen it all: A championship, a fired coach and blizzard". The Plain Dealer . Cleveland.com. ↑ "Cleveland No. 1 in NFL fan loyalty - NFL- nbcsports.msnbc.com". Msnbc.msn.com. Archived from the original on February 11, 2009. Retrieved December 13, 2008. ↑ "NFL Fan Support Rankings". Bizjournals.com. Archived from the original on February 29, 2008. Retrieved December 13, 2008. 1 2 Newmeister, Larry (February 16, 2006). "Judge finds nobody beats out Cleveland for 'Dawg Pound'". Usatoday.com. Gannett Company. Retrieved December 13, 2008. ↑ "Cleveland Browns | Rookies get a history lesson". Clevelandbrowns.com. Archived from the original on December 6, 2008. Retrieved December 13, 2008. ↑ "Cleveland Browns Logos". Sportslogos.net . Retrieved July 14, 2014. ↑ "Browns Backers Worldwide". ClevelandBrowns.com. NFL Enterprises, LLC. Retrieved November 27, 2018. ↑ Deneen, Mike (January 11, 2006). "Lakewood Native Takes Browns Backers to South Pole". The Lakewood Observer. Retrieved November 29, 2011. ↑ "Cleveland Browns". Clevelandbrowns.com. Archived from the original on December 6, 2008. Retrieved December 13, 2008. ↑ "TOP 20 surprising Elvis Facts". Weeklyworldnews.com. Retrieved February 7, 2014. ↑ "Gene Hickerson: Elvis Took His Calls". Dan Coughlin. Retrieved February 7, 2014. ↑ "Cleveland native Jerry "The King" Lawler talks Browns, Indians and wrestling again (video)". Cleveland.com. Retrieved March 16, 2014. ↑ CK [@CaseyKulas] (December 14, 2014). "Livin' the dream! @JerryLawler @HEELZiggler @mikethemiz #BrownsGoodKarma t.co/IcnXjKbwBe" (Tweet). Retrieved September 29, 2015– via Twitter. ↑ "Touchdown Tim's NFL: Elvis' and Henry Aaron's favorite football team". Orble.com. Archived from the original on February 22, 2014. Retrieved February 7, 2014. ↑ "Machine Gun Kelly Visits The Browns Facilities". djsdoingwork.com. Archived from the original on May 3, 2014. Retrieved May 2, 2014. ↑ "CJ McCollum loves the Cleveland Browns and bets his team will beat Damian Lillard's Oakland Raiders". OregonLive. The Oregonian. September 30, 2018. Retrieved January 14, 2019. ↑ "Hall of Famers by Franchise". Pro Football Hall of Fame. Archived from the original on March 17, 2007. Retrieved April 2, 2007. ↑ "Browns Legends". ClevelandBrowns.com. NFL Enterprises, LLC. Retrieved October 15, 2018. ↑ Davis, Nate (August 26, 2010). "Sixteen inaugural members of Cleveland Browns Ring of Honor unveiled". USA Today. Retrieved May 5, 2017. ↑ "Jeff Phelps To Call Browns Preseason Games; Team Announces Radio Network Programming « CBS Cleveland". cleveland.cbslocal.com. Retrieved September 29, 2015. ↑ "NewsChannel 5, Cleveland Browns unveil new programming Sunday, March 8th - newsnet5.com Cleveland". newsnet5.com. Archived from the original on September 30, 2015. Retrieved September 29, 2015. ↑ "Browns returning to SportsTime Ohio in 2017, according to report". ↑ "Browns win two Emmy Awards". ClevelandBrowns.com. NFL Enterprises, LLC. September 27, 2005. Archived from the original on February 22, 2014. Retrieved November 27, 2018. ↑ kellywoo (September 6, 2013). "Woof! Woof! Arsenio Hall Explains the Origins of His Late-Night Barks". Yahoo! News . Retrieved August 25, 2015. ↑ "Hot in Cleveland - Season 3, Episode 6: How Did You Guys Meet, Anyway?". TV.com. August 26, 2015. Retrieved August 26, 2015. ↑ "Betty White Congratulates The Giants on their Superbow XLVI Win! - YouTube". youtube.com. Retrieved September 29, 2015. ↑ "Hot in Cleveland: Cleveland Browns Shout Out - YouTube". youtube.com. Retrieved September 29, 2015. ↑ "The Fortune Cookie (1966) - Overview". Turner Classic Movies. August 26, 2015. Retrieved August 26, 2015. ↑ Ebert, Roger (October 8, 2008). "The Express Movie Review & Film Summary (2008)". RogerEbert.com. Retrieved August 28, 2015. Wikimedia Commons has media related to Cleveland Browns .